Club Penguin Cheats by Mimo777 Club Penguin Cheats by Mimo777: Penguin of the Week: Zoes6! Penguin of the Week: Zoes6! 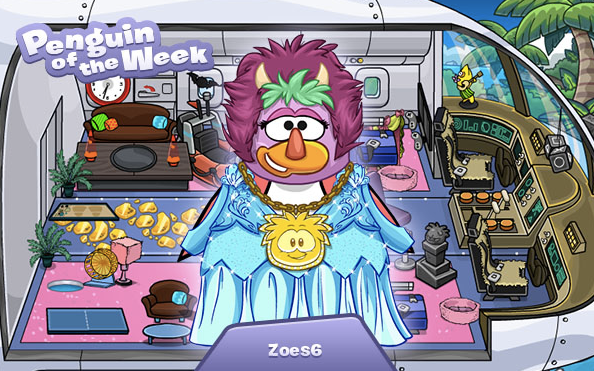 If you think you have an awesome friend to be the Penguin of the Week then be sure to leave a comment on the CP blog! Winners now receive an exclusive, player card background AND 10,000 coins! Funny Hat Party Week at the Dock! Club Penguin Pin Cheat - NEON O'BERRY PIN! Two New Parties Coming in May! Club Penguin Official Video: APP UPDATE! Everyday I’m “Puffle-in”… With Chattabox! Disney Channel's Game On: Puffle Party! Puffle Party 2014: PH Meet-Up Times! 2014: Puffle Party + New Pets! Club Penguin Pin Cheat - PUFFLE PARK PIN! Puffle Party 2014 Sneak Peek! Free Items at the Puffle Party! Exclusive Earth Day 2014 Costume Code! Puffle Tricks Coming in April! Hide and Seek with Chattabox! Penguin of the Week: Adc10296! Club Penguin Pin Cheat - CREAM PIE PIN! Club Penguin Star Wars VII NEWS!